ADA 25th anniversary: The Internet should be accessible for the disabled. And Web accessibility for the disabled makes sense for everyone. But the Internet is increasingly about essential life needs, especially when it comes to access to employment, government services, health care, and education. Try applying for a job or enrolling at a local college or university without a broadband connection, and you’ll run into trouble. A similar problem confronts many people who try to use websites that don’t have the kind of code that makes them accessible—what developers call “universal design.” In a recent study by Jonathan Lazar, professor of computer and information sciences at Towson University, only 28 percent of blind applicants were able to complete online job applications because many of the sites in the study didn’t use standards of accessible Web design. In February the National Association of the Deaf sued Harvard and MIT for discriminating against deaf and hard of hearing people by failing to caption the online content they make available to the general public, including massive open online courses, aka MOOCs. Without a job or the education to make employment possible, disabled communities are increasingly at risk of losing the essential life needs—“food, water, and shelter”—that O’Rielly outlined. So access is quickly becoming mandatory. And that’s a problem, because as access becomes more integral to the essentials of everyday American life, the gap between those who have access to the Internet and to its content—and those who don’t—grows. This gap can be significant. People with perceptual disabilities, such as those who are deaf or blind, require websites to provide closed captioning or to be flexible enough to work well with screen reader technology. 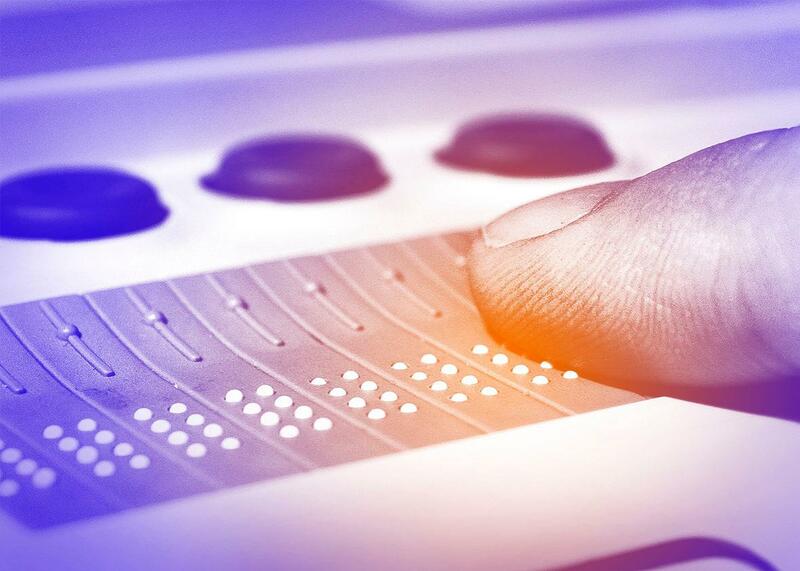 Websites also need to be compatible with alternate input devices—such as speech recognition or eye tracking—so that those with motor disabilities can use them. Title III of the ADA requires that public and private establishments provide reasonable accommodations to the disabled. While there are 12 specifically mentioned “places of public accommodation” listed in the statute, access to the Internet is conspicuously missing—mainly because the Internet of 1990 is not the Internet we rely on today. Establishing the Internet as a “place of public accommodation” has been a story of two steps forward, one step back. But that is changing, thanks to a new generation of ADA activists who won’t accept a second-class Internet. This past spring the Justice Department was expected to advance rulemaking on Web accessibility for all sites under the ADA. Those rules would have outlined accessibility standards for private websites under the ADA. But that stalled—again. However, accessibility standards are in place for government-run and government-funded sites under Section 508 of the Rehabilitation Act (with revised standards set to take effect later this year), and the DOJ has publicly stated that it views the Internet as a “place of public accommodation.” In the past year and a half, the DOJ put more muscle into that view by filing statements of interest in the Harvard and MIT lawsuit and another lawsuit involving Lucky Brand jeans. One recent district court ruling from Vermont also shows promise for supporting the Internet as a place of public accommodation under the ADA. But since 1990, appeals courts have been divided on the issue of whether the ADA applies to nonphysical structures, like the Internet. We’re likely to hear more about the case in Vermont; it has moved into the discovery phase after the court allowed an ADA Web accessibility claim against the digital library and e-book subscription service Scribd to proceed. It makes good business sense. Researchers and developers argue there are numerous downstream advantages to designing accessible sites. Much like wheelchair ramps and elevators benefit parents with strollers, Web accessibility will benefit all of us, particularly in mobile (think screen readers, natural-language voice tools like Siri, closed captioning, etc.). Web accessibility, developers say, is a form of innovation that helps to drive development. It also attracts new customers and offers employers the chance to consider disabled workers in their hiring decisions. We’re missing a hugely important voice in society. When we don’t include disabled communities in arguments about health care, the economy, parenting, and more, we miss important viewpoints. In addition, disability activists are mobilizing online in ways that weren’t always previously possible, and they are talking to one another across disabilities and on platforms that need accessible standards to do that. We need to support that communication across and among disability groups with accessible standards. There is a reason we talk about “life online.” O’Rielly’s comments notwithstanding, the time has come to fully include disabled communities in the necessities of that life.